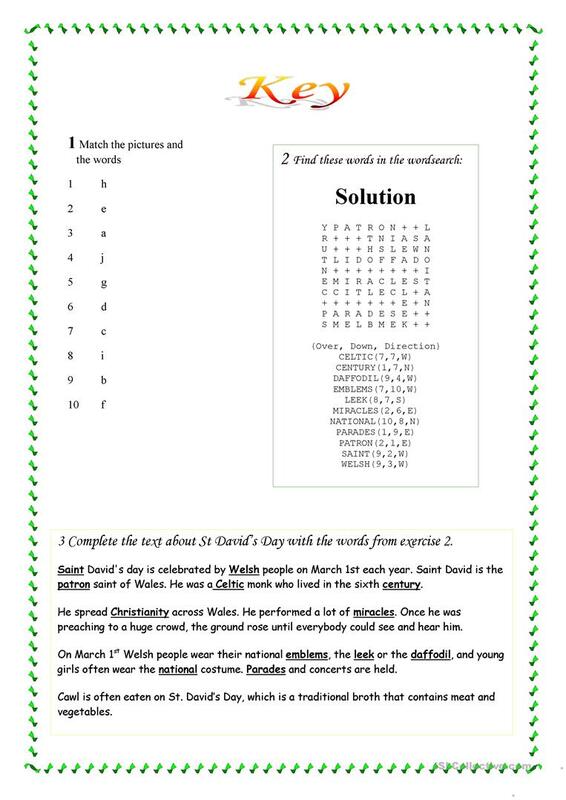 Students have to match the pictures with the words, find some words in the wordsearch, and complete a text about St David's Day. 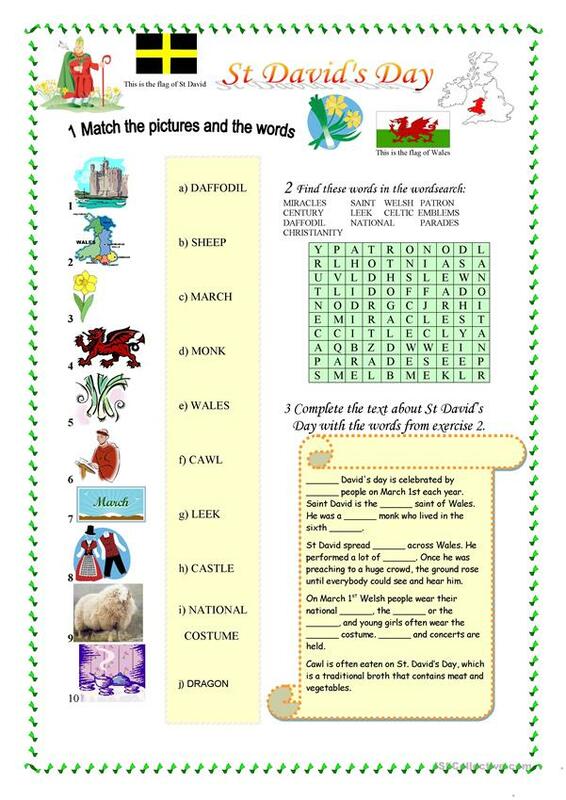 Students can learn about customs and traditions in Wales. They read a short text about this holiday, which is celebrated on 1st March. This downloadable teaching material was created for high school students, elementary school students and adults at Pre-intermediate (A2) level. It is a useful material for revising Nouns in English, and is a valuable material for improving your learners' Reading and Writing skills. It centers around the theme of Holidays. It includes a key, too. eve25 is from/lives in Hungary and has been a member of iSLCollective since 2013-02-10 21:04:34. eve25 last logged in on 2019-04-22 18:15:10, and has shared 40 resources on iSLCollective so far.